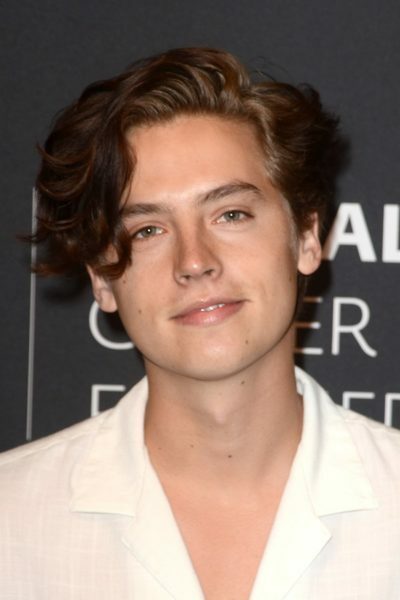 Cole Sprouse is an American actor and photographer. 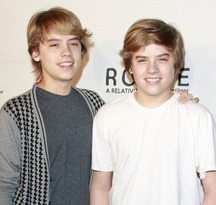 He is the identical twin brother of actor Dylan Sprouse. He began his career at the age of six months, then usually acting with his brother. Cole was born in Arezzo, Tuscany, Italy, to American parents, Melanie and Matthew Sprouse, who were teaching there at the time. He was named after jazz musician Nat King Cole. His parents moved back to their native California four months after Cole and Dylan were born. He was raised in Long Beach. Cole’s ancestry includes English, Scottish, Danish, and German. Cole’s paternal grandfather is Michael Theodore Sprouse (the son of Guy Ellsworth Sprouse and Opal Fern McCray). Michael was born in West Virginia. Guy was the son of William Madison Sprouse and Martha Ann Arbogast. Opal was the daughter of William Kenneth McCray and Bonnie Bell/Belle Wright. Cole’s paternal grandmother is Karen Lee Sammons (the daughter of Herman E./Frank Sammons and Betty Elizabeth Sybrowsky/Szybrowsky). Karen was born in California. Herman was the son of Charles R. Sammons and Allice Mars. Betty was the daughter of Vilhelm Christian “William” Sybrowsky and Johanna Alfreda Barnhardine Johansen. Vilhelm and Johanna were Danish immigrants, although the Szybrowsky line leads back to Germany several generations before that. Cole’s maternal grandfather is Merrill Eugene Wright (the son of Obed Wright and Beulah Mae Roe). Merrill was born in California. Obed was the son of Otha Burnett Wright and Lena Spiller. Beulah was the daughter of Benjamin Roe, who was of mostly German descent, and of Mary Elizabeth Metter, whose parents were German. Cole’s maternal grandmother is Jonine Rosemary Booth (the daughter of Jonathan C. Booth and Maxine Pearl Rose). Jonine was born in California. Jonathan was the son of Charles F. Booth and Emily Coy. Maxine was the daughter of Carl Wellington Rose and Myrtle Sabria Tucker. Cole’s matrilineal line can be traced back to his great-great-great-great-great-great-great-grandmother, Lydia Purcell/Pursel, who was born, c. 1774, in Fayette County, Kentucky. What the hell happened to them? They don’t even act anymore.